The molecular dipole moment is the vector sum of all individual dipole moments in a molecule/compound. The molecular dipole moment is an important concept when dealing with a molecule that has multiple polar bonds. 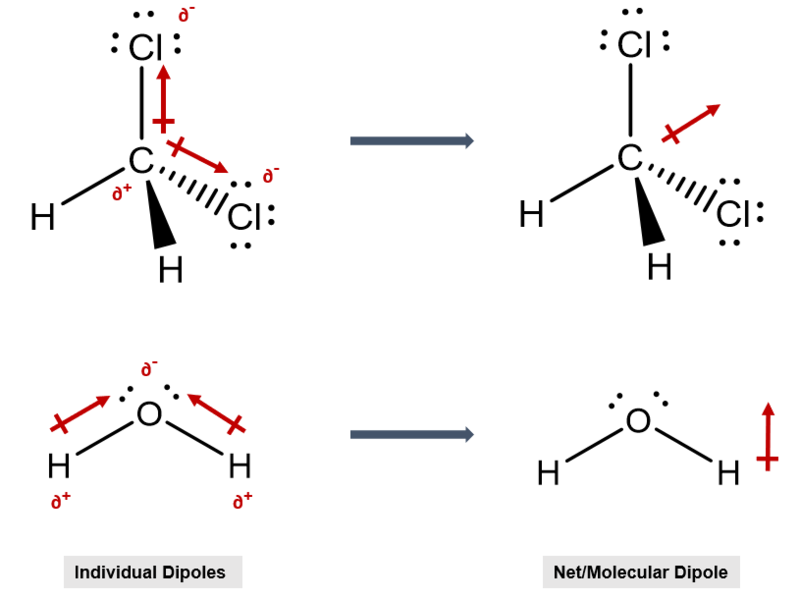 For example, simple molecules like chloromethane have a single polar bond while molecules like dichloromethane have two dipole moments. (see Dipole moment) Therefore, to examine the polarity of the entire molecule the vector sum of the individual moments is taken.